Observed at night patrolling an outside area at a nice hotel in Marigat, Kenya. 9 October 2010. 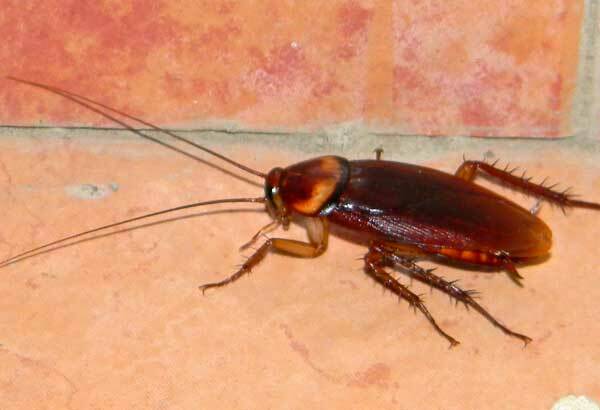 This large cockroach has a long history in association with humans. The species probably originated in Africa along with humans. The name americana was applied because the insect was first described scientifically from a specimen collected in the Americas where it's ancestors had arrived much earlier having followed human migrations and commerce.